Applications: Chevrolet, Citroën, Fiat, Saab, Suzuki, Vauxhall. held securely and an adaptor which fits snugly onto the top of the filter. 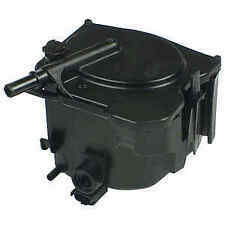 • Place the removal adaptor on the top of the filter housing and loosen. SUZUKI ALTO Hatchback 0.8 (SB308/CA) Hatchback Petrol 01/1986 12/1988 FWD 6 39 29. SUZUKI ESCUDO Hatchback 1.3 Hatchback Petrol 07/2001 12/2007 FWD 16 90 66. SUZUKI ESCUDO Hatchback 1.6 Hatchback Petrol 07/2001 12/2007 FWD 16 103 76. RENAULT 8 200 026 237. RENAULT 8 200 186 217. RENAULT 000 635 1010. RENAULT 8 200 458 337. RENAULT 635 1010. RENAULT TRUCKS 635 1010. RENAULT TRUCKS 8 200 026 237. RENAULT TRUCKS 8 200 186 217. MPN - EFF227. FUEL FILTER. IMPORTANT NOTE. The information provided in the compatibility should be used as a guide only. Inlet Ø (mm): 10. Outlet Ø (mm): 10. For your vehicle. We specialize in brake pads, brake discs, wheel bearings, clutch parts, sensors etc. and chooseExt 1. Issues With Your Order?. SCUDO, ULYSSE. DIESEL 2.0 JTD 2.0 HDI. GRAND VITARA. FIAT, SUZUKI. FUEL FILTER HOUSING FILTER. - 1 x Fuel Filer Housing Filter. PRODUCER / QUALITY. jmcarparts bez opisu i bez zdjec. 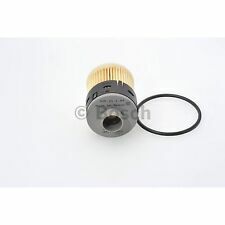 MAHLE In-line Fuel Filter KL203. For diesel engines, the functional range of the MAHLE fuel filter modules can be significantly more complex. The fuel can be cooled or heated, for example, or the water content of the fuel can be separated. Blue Print Fuel Filter With Seal Ring Ford Asia & Oceania Suzuki Vitara ADK82312 - Free Delivery from Simply Car Parts - Brand New BluePrint part - 3 Years Manufacturers Warranty. GRAND VITARA MK1 2001-2005. GRAND VITARA MK2 2006-. VITARA 2003-2005. FUEL FILTER HOUSING WITH FUEL FILTER (inside). If you have fuel filter housing of BOSCH type (2 pipe connections). PARTNER 2000-. 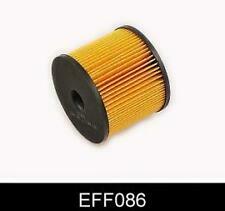 Delphi Diesel Fuel Filter - HDF610. 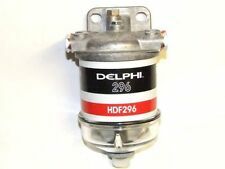 Delphi Fuel Filter HDF610. PEUGEOT 1901 66, 1901 68, 1901 73, 1901 75, 1901 82, 1901 84, 1901 99. Fuel Pump Electronics. MAZDA Y401-20490, Y401-20490A, Y401-20490B. BNIB Blueprint Fuel Filter Removal Tool / Spanner ADK85502. Citroen Relay 2.0 2005 > 2007. Citroen Relay 2.2 2006 > 2012. Citroen Relay 2.8 2005 > 2007. Citroen Relay 3.0 2006 > 2012. Fiat 500 1.3DT Multijet 2007>. Suzuki Swift MK3 1.3DDiS 75HP -10. WHY BUY UFI ?. However delays are occasionally inevitable due to unforeseen circumstances. Product Specification Full Set. 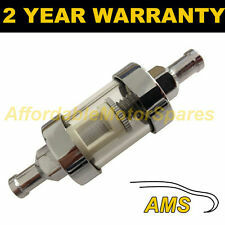 Fits Opel Vauxhall Astra G H Vectra C Zafira B Saab 93 95 Suzuki Fuel Filter NEW & UNUSED DO A LITTLE TATY. Blue Print Fuel Filter Suzuki Alto LJ80 4WD SJ Samurai Super Carry ADK82301 - Free Delivery from Simply Car Parts - Brand New BluePrint part - 3 Years Manufacturers Warranty. Blue Print Fuel Filter Suzuki Escudo 4WD Grand Sidekick Vitara X 90 4WD ADK82310 - Free Delivery from Simply Car Parts - Brand New BluePrint part - 3 Years Manufacturers Warranty. 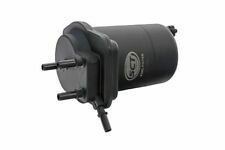 DIESEL FUEL FILTER FOR MANY VEHICLES (SEE BELOW). BLUE PRINT. THIS WILL FIT FOLLOWING VEHICLES. 323F MK6 HATCHBACK. L400 VAN (PAO) -. L300 MK2 PLATFORM/CHASSIS (L0) -. GALANT MK4 ESTATE-. GALANT MK4 SALOON -. A high-quality QSP fuel filter is essential for protecting advanced fuel injection systems from contaminants that may be in the fuel, allowing an engine to run trouble free and at peak mile per gallon performance. MPN - EFF167. 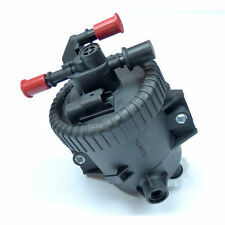 Filter Type: With water sensor coupling. 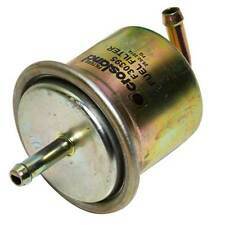 FUEL FILTER. The information provided in the compatibility should be used as a guide only. ======================. FOR SUZUKI JIMNY. Fitting Position:in fuel tank. Vehicle compatibility. Part specifications. Diesel fuel filter Mazda Bongo, Ford Freda, Suzuki Vitara. 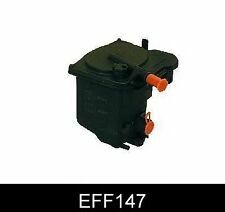 Full list of applications Fuel filter, Mazda Bongo 2.0/2.5 diesels. Mazda Bongo 2.0 TD 1989-1999. Suzuki Vitara 2.0 TD 96-98 (up to engine no. ). Part No. 95599700, 1818012, 95599129, 93181377. Autovaux was established in 2001 and is recognised as The Number 1 Supplier for Genuine Vauxhall spares and O.E Quality parts for all car manufacturers with Vauxhall trained staff and the most up to date parts software available. Suzuki Jimny FJ 1.5DDiS 4WD 86HP -16. WHY BUY UFI ?. However delays are occasionally inevitable due to unforeseen circumstances. Part No : ADK82312. FORD FREDA 2.5D RWD MTM ATM WL SGLWF/3F 06/95>12/02. FORD FREDA 2.5DT XL.T 4 x 4 ATM WL-T SGLRF 06/95>12/02. MAZDA BONGO 2.0DT 4 x 4 MTM ATM RF SSF8R 01/89>05/99. MAZDA BONGO 2.2D 4 x 4 MTM R2 SR2AM 11/93>05/99. 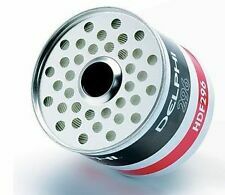 1 x New Genuine Delphi HDF 939 Fuel Filter. View Our Categories. Fits Suzuki GV 1.6, 2.0, 2.5. Genuine Part From Genuine Dealer. Genuine Mahle KL515. All of our Mahle filters are either Mahle Original or Mahle Knecht - the majority are Mahle Original. 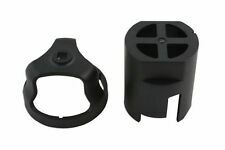 Part No : ADK82321C. SUZUKI JIMNY 1.3i Fd Est - JLX 4 x 4 5 MTM ATM G13BB JB33 08/98>12/05. SUZUKI JIMNY 1.3i Fd Est - JLX 4 x 4 5 MTM ATM M13A JB43 02/01>. SUZUKI JIMNY (LHD) 1.3i 4 x 4 5 MTM ATM M13A JB43 01/01>NULL. FOR SUZUKI ALTO. Vehicle compatibility. Suzuki SX4 GY 1.9DDiS 4WD 120HP -16. WHY BUY UFI ?. However delays are occasionally inevitable due to unforeseen circumstances. Product Specification Full Set © A to Z Motor Spares (Wakefield) 2018. •GENUINE USED SUZUKI PARTS•. Used item in good condition full working order. (May have odd marks as pictured, to be expected with a used item). FOR SUZUKI LIANA. Fitting Position:in fuel tank. Vehicle compatibility.